A pair of Engies had been flying in space for a long time, taking on all sorts of battle damages and being rather frazzled by all the ion blasts against them. At one point they were watching a whole bunch of old Phelous videos on the ancient archives of Youtube when some wires crossed and they just HAD to build their own ship, based off the Old Man from the Good Times Beauty & The Beast cartoon that Phelous was reviewing. 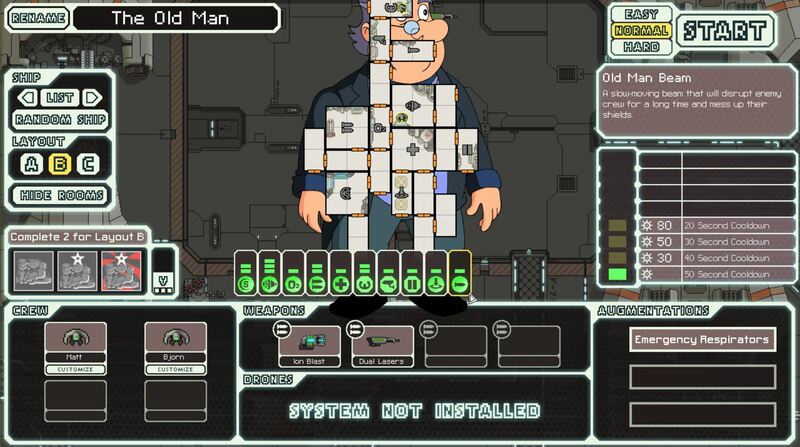 It's a boarding ship but instead of using a proper crew of fighters, you only have the two Engies onboard and an ion weapon and a dual laser. So how does a pair of Engies take on entire ships? Well that's why there's the Old Man Beam. It's slow but it will ionise enemy shields and stun their crew. However this stunner is unique in that it makes them all wet and completely useless for 10 minutes. DO NOT let your crew get zapped or they'll have to be thrown out. The ship may be a joke ship but the beam isn't a joke. That stun will disable enemy crew and drones for a long time. Fdagpigj for the inspirational ideas. 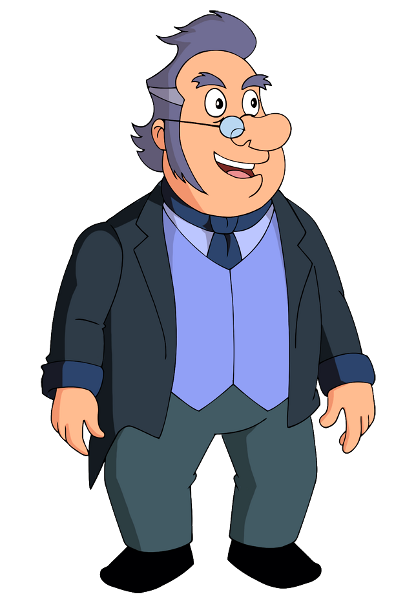 Phelous for making his videos and his use of the Old Man. Last edited by stylesrj on Mon Oct 23, 2017 6:29 am, edited 1 time in total.